Houses will not need any keys shortly, but mobile phones. 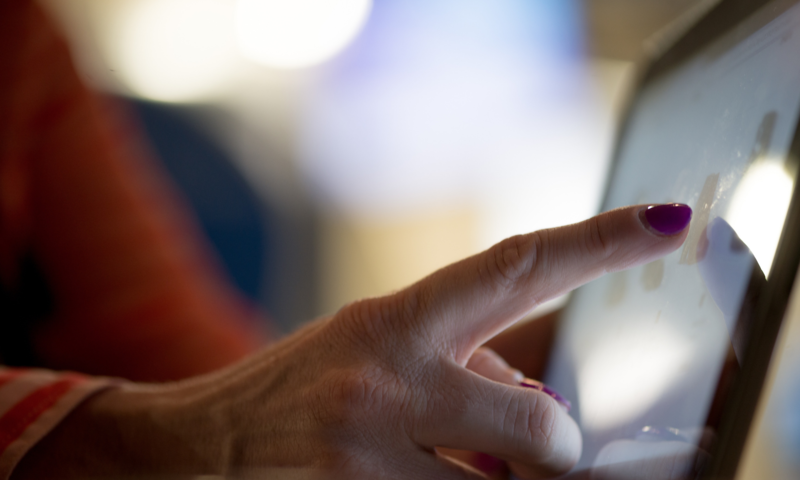 New technologies, next-gen household gadgets, and the Internet of Things have revolutionized –or are about to revolutionize– homes around the world. In this post we are going to show you some of the smart gadgets that should’nt be missing in your home in 2019 and which are also decorative. Eight Sleep, a cover where you can set up the temperature as you wish. Eight Sleep presents their new smart mattress cover. It lets you control it through an app in your smartphone, if you’re on your way home and thinking about going to sleep in a warm bed, just turn it on and program the temperature you want in your bed. It also has monitors and evaluates your sleep quality and cycles. You can even program, through the app on your smartphone, for it to wake you at the right moment in your sleep cycle. It also has a dual temperature zone so that each individual in bed can control their sides temperature without affecting the other. 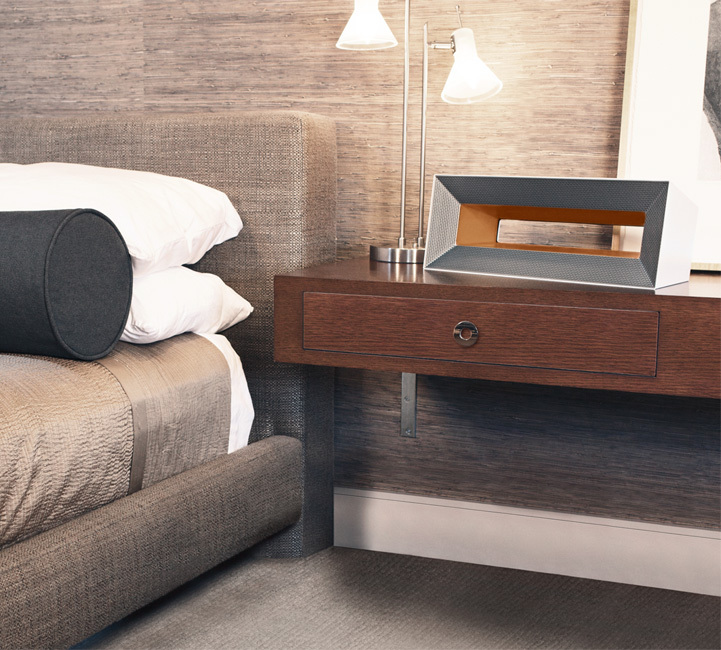 A really clever cover that will boost your sleep, comfort and life quality. This is one of the most comfortable smart gadgets. Amazon Echo, control your smat home just with the voice. Amazon Echo is a smart speaker from Amazon that has different functions. It Includes question answering and music player. The device consists of a large talking cylinder of 9 inches (23 cm), with a matrix of 7 microphones, speakers that include a woofer / tweeter and a remote control. The device responds to the name “Alexa”. Alexa is able to answer questions, play music from services such as Spotify, Apple Music, TuneIn and Amazon Music, create checklists, set alarms or timers, play podcasts and audiobooks, control smart devices, provide real-time weather or traffic information and offer news summaries, among many other things. Planty, one of the best way to connect with plants. Plants are no different from humans. They breathe, they drink and they require nutrition. However, they can’t communicate to tell us what they need. Wouldn’t it be amazing if you could listen to what your plants are trying desperately to tell you? This is how Planty was born. It is the Internet-connected smart pot that gives your plants the unprecedented ability to communicate their needs to you. Planty connects to the Internet via Wi-Fi and monitors your plants’ soil, temperature, light and water levels. All this data is delivered directly to you via the Planty app on your smartphone so you can react appropriately. Tesla Powerwall Home Battery, to save on electric bill. 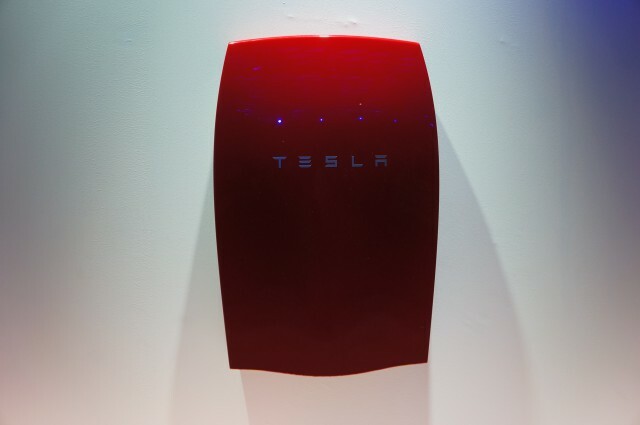 The Tesla Powerwall is a lithium-ion battery pack used as backup power source at home. The battery can store electrical energy from the generation of renewable energy, such as solar or wind installations. You can also store electricity at night when electricity is cheaper. You can install it outdoors or indoors and doesn’t require a closed room. It also allows an electrical installation in remote locations without access to electricity. Goji Smart Lock, the lock that lets you unlock your door using a mobile pone. Goji Smart Lock gives you complete control over the access to your home. It works with your smart phone and and provides real-time picture alerts. Besides, it presents a contemporary look for a deadbolt lock. It has a circular shape, and is elegant and modern. 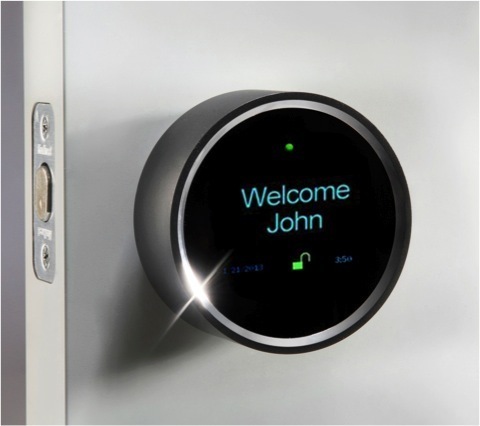 Goji Smart Lock is made of brushed metal with a subtle blue-text LED display that welcomes users by name when the lock is activated. The display also shows the lock/unlock status, and dates and times of all entries and exits. Its elegant simplicity fits with any home décor. Airocide, remove common household odors and add a touch of style to your home. Although Airocide sounds like an unfortunate way to die from oxygen overdose, the company actually licenses the air purifying technology from Nasa for good. Using tiny glass rings covered in titanium dioxide, the purifier is able to instantly destroy almost 100 percent of airborne pathogens and allergens it makes contact with. 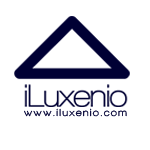 As a result Airocide’s purifier is one of the most effective on the planet. And one of the quietest too, since it relies on a special aerodynamic design and simple physics to pull air through without the need for fans and motors. Air is constantly moving and constantly getting dirty. Airocide is built to run 24/7 and doing so means it’s always working to protect you. If you want to see a difference in the way you feel, you must constantly clean the air. So, this 2019 choose to put Airocide in your bedroom, choose your mode and let Airocide do the rest. 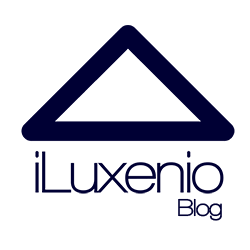 For further information about smart gadgets don’t hesitate to contact us at iluxenio@iluxenio.com.